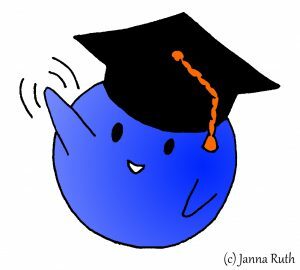 Just, so I won’t bore you with some scientific lecture, I have invited Mobs, my little science communicator. Geologists and their sense of time – apparently a breaking point in relationships. When a geologist says, an earthquake is imminent that may be in 10, 50 or 100 years. Or maybe it happens tomorrow morning. They also talk about the recent ice age as if it were a thing that happened a few weeks ago, when it was over 10,000 years ago. Mountains don’t appear in a human’s lifetime, not even in our species lifetime, though at least that would be a visible change. Equally, it takes a long while for mountains to disappear. The Scandinavian mountains for example predate Pangea and they are still considerable today though that plate boundary hasn’t been active in ages. So, if you are planning to make mountains appear over night or older characters lament how the mountains used to be higher in their youth, then you should consider adding magic or alternative physics into the mix. Lifting mountains isn’t exactly a sprinting discipline. There are, however, geological processes that go quickly. 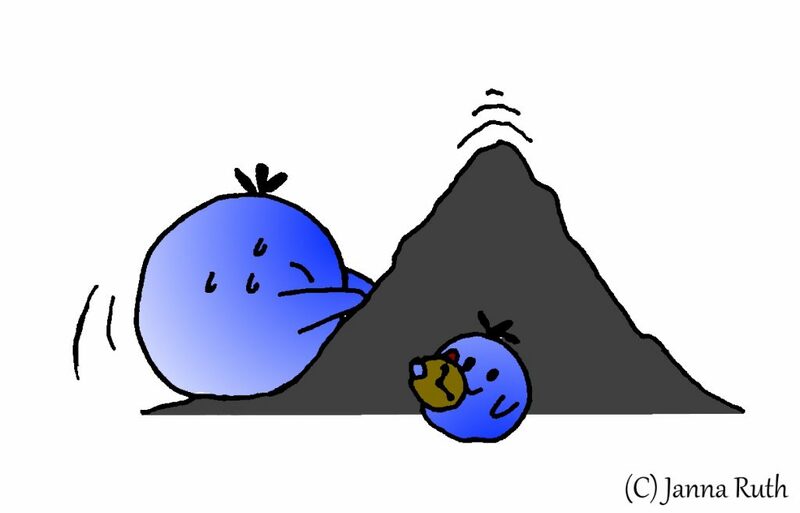 An earthquake can lift or lower the land within the time of its rupture, though that’s only a few metres at most and then not for a while. Volcanoes let whole islands appear from under water during an eruption or they collapse into each other and form crater lakes. Any coast processes are extra quick. Within a person’s life new beach easily forms. At the same time other coasts degrade and break away. With the accelerated sea level rise, this becomes an even faster process. Let’s start with my favourite topic: plate tectonics. As you surely know, the Earth’s crust is broken into many small and large plates. These plates swim upon the so-called asthenosphere, the upper part of the Earth’s liquid mantle. This process leads to plates colliding, tearing apart or passing each other by. The mantle’s convection cycles are the main player in deciding which way the plates go, but that would be looking a little to deep for a place to start. The reason I’m starting with plate tectonics is that the most impressive feature of any landscape, the mountain ranges, only form where two plates meet. Oceans, meanwhile, develop when a plate tears apart upon two conflicting swimming directions. One of the youngest rifts is the East African Rift which also coincides with the Red Sea. The second most-important thing is that plate boundaries are THE centres of volcanic activity and earthquakes. Ignoring hotspots like Hawaii, volcanos are only found along a plate boundary. The famous Pacific Ring of Fire, that spans from Japan through Indonesia and New Zealand to the Americas, contains 70% of the world’s volcanoes and hosts 90% of all earthquakes. The latter isn’t so surprising if you think of it. Things colliding always leads to shock waves. About every half billion years a supercontinent forms. 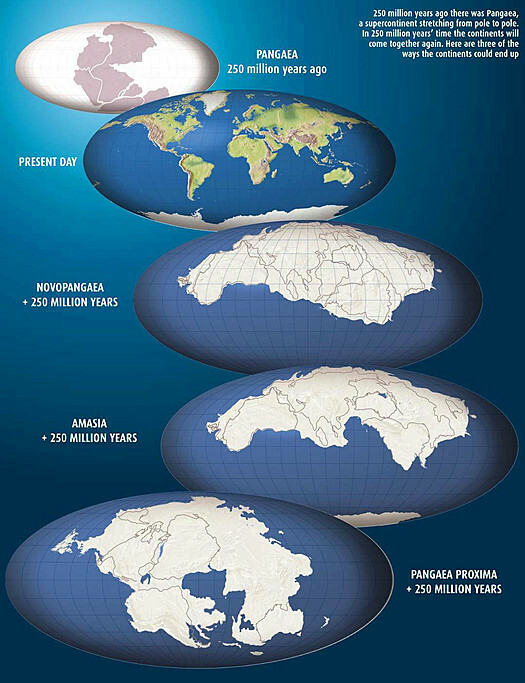 Almost everyone knows Pangea where the dinosaurs roamed. 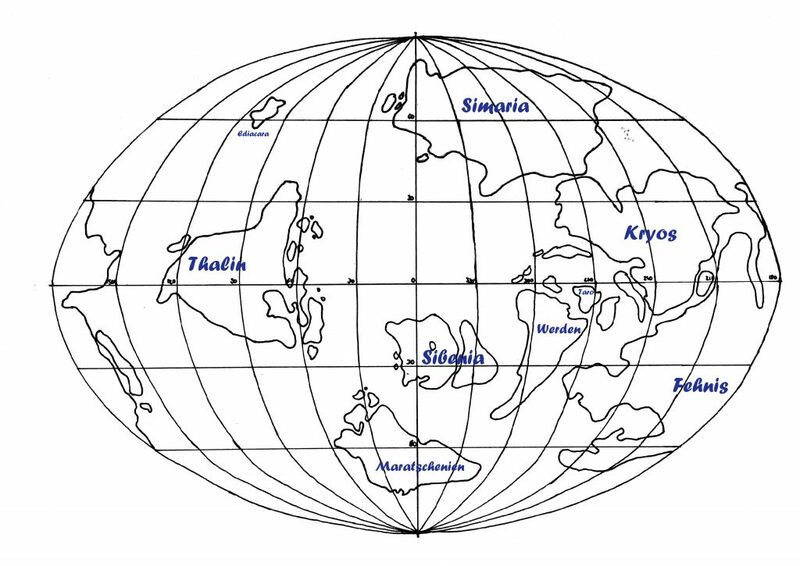 Before Pangea there was Rhodinia and scientists have already projected a future super continent. The Pacific will close eventually and acquaint the Americas and Asia. Going from Los Angeles to Beijing – possible with plate tectonics. If you want to know what these several states of plate assembly can do for your world-building, make sure to come back for the climate part. If you look at the world map, you quickly notice that Africa and South and Central America fit together really well. Sure, the coasts look a bit different and everything is distorted, so it’s not exactly a perfect fit, but you know immediately that they did belong together some time ago. Other continents fit well together as well, though they have been separated a while longer, so have eroded more. At the beginning of my geology studies I had planned to build a world from the very beginning. I want to continue this project together with you. Thus, here are the plates of my world. On this map, you notice that a few continents and islands fit together. Thalin, for example, still has this little peninsula that fits perfectly well into the East Coast of Fehnis. Sibenia, however, is just separating, while the islands of Werden and Taro could be assembled back into Fehnis’ and Kryos’ western coasts with a little effort. Building my own world – starting with some continents. You can also see how the coasts don’t fit together perfectly. Parts are missing while others would be overlapping. That’s okay, because remember: The tearing apart happens over the course of millions of years, while the sea level rise (and fall) and coast erosion processes work much faster. Thus, I distorted some of the parts and made the coasts look a bit more natural. Think about how many continents you need and in which size you would want them. Decide whether you want a bunch of smaller continents or one mega-continent. A little tip: When a supercontinent breaks apart, the temperature rises considerably as there will be a lot of volcanisms and thus CO2 in the air. Now scatter your continents across the world map. 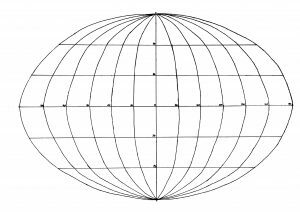 Pick which continents move towards each other and which move apart. How to the «sides» of your plates relate to each other? 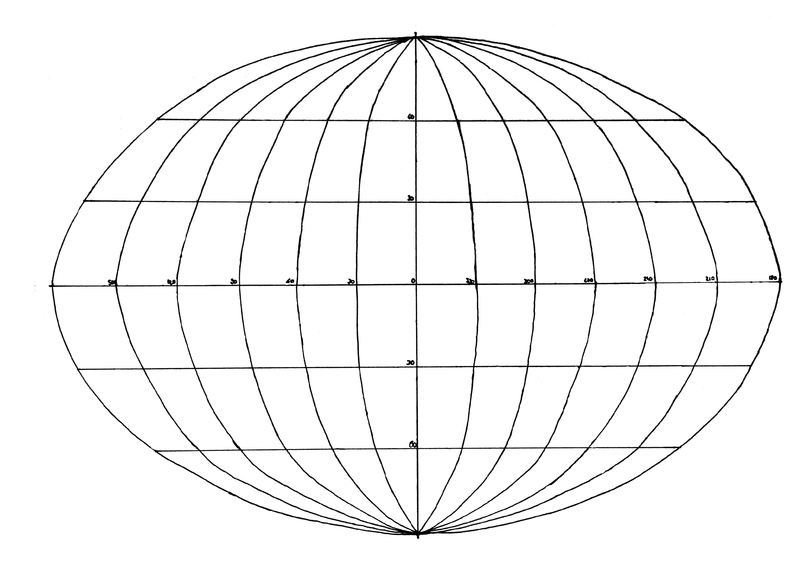 Shape the continents that move apart from each other so that they could fit into each other. The closer they are together the more they need to assemble each other. That doesn’t have to include each coast line. Just take a few of them and make them stand out enough that once could push them back together if they wanted to. At the boundaries where continents move against each other, we will start building mountain ranges. But more on that in part 2. P.S. : You can download the basic coordination system here. Disclaimer: Of course, fantasy worlds do not have to follow our laws of nature and authors do not need to complete a geology course in order to build a working fantasy world. However, I hope you have fun and maybe I can sharpen your view a little. It’s time. 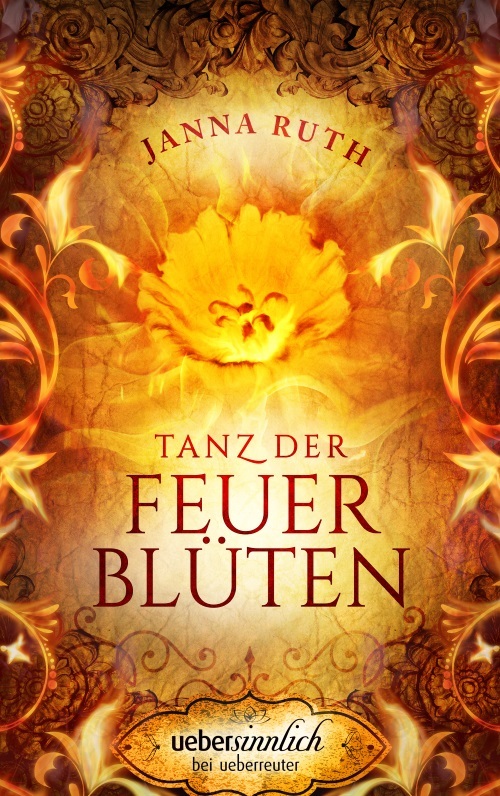 Today, my debut novel “Tanz der Feuerblüten” (Dance of the fire blossoms) is available. It is a japanese-style fantasy love story about ghosts, demons and the magic of the elements. The novel is published by Ueberreuter Verlag within the (eBook only) uebersinnlich series. The eBook is available on the publisher’s homepage, at Amazon.de and other eBook traders for 2.99€. 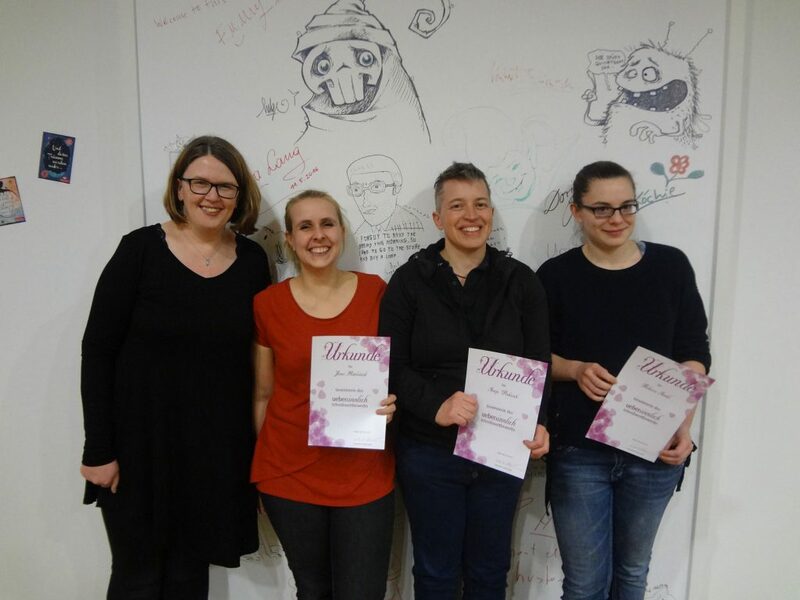 “Tanz der Feuerblüten” is one of the three winners of an Ueberreuter writing competition. Premise: a 100-page long romantasy short novel. By the way, I was also invited to visit the publishing house and you can read about that awesome day here: My visit with Ueberreuter Verlag. The story has been inside of me for about 15 years, though certainly not in this form. Back then, I read an issue of the GeoEPOCHE about the Imperial Japan. This society that is solely focused on beauty and elegance, when each tiny detail has a meaning, was so fascinatingly different that I just had to use it someday. There is so much western European Fantasy and sometimes there’s a little bit of oriental fantasy, but it’s quite rare to find asian inspired fantasy. Even though those cultures have a vast potential to be explored. Especially, Japan with all its arts (ikebana, origami, kabuki, calligraphy, gardening …) and fine aesthetics has been a favourite of mine. 2015, then, I was able to fulfill one of my dreams and travel around Japan for 3 weeks, 9 days of those in the Kyoto-Region. It was the best vacation ever. We have seen and done so much; we partook in a tea ceremony, learned how to arrange flowers and watched the geisha’s spring show. Even though I was pregnant at that time, I was able to try on one of those beautiful kimonos and go sightseeing in it. In any case, filled with those impressions, I was ready to take on this story. As part of my pre-release party, I made a little video reading of my book. Go and have a look if you don’t mind the German. Enjoy the story of Jinnan and Ayaka! Today, I want to speak to you about the protection of the environment, an age-old topic of literature. Don’t believe me? Let me go into detail. In Germany we read a book called “Homo Faber” in school. This book written by the famous Max Frisch tells the story of a very technology focused, stressed business man that turns away from civilisation and towards nature. The return to nature or the reconquering of the world through nature is one of literature’s and film’s (think Avatar) themes. But how about the fantasy genre? Contrary to the very technical world of steampunk, fantasy is a fierce advocat for the environment. Just look at the high amount of people and species living in balance with the nature, such as elves, fairies or shamans. Who doesn’t know the classical wood elf with his bow and arrow? The long-living people are quite usually the ones very in tune with nature and, thus, their world. The humans living far away from nature are usually short-lived, quarrelsome and in many areas short-sighted. Also, dwarves are often critically viewed in regards to their mining ventures. They dug too deep…. The one novelist bringing this environmentalist characterisation to the extreme is Tolkien. His elves are certainly on the good side, even if they wrinkle their noses about all the other creatures, vandalising their world. 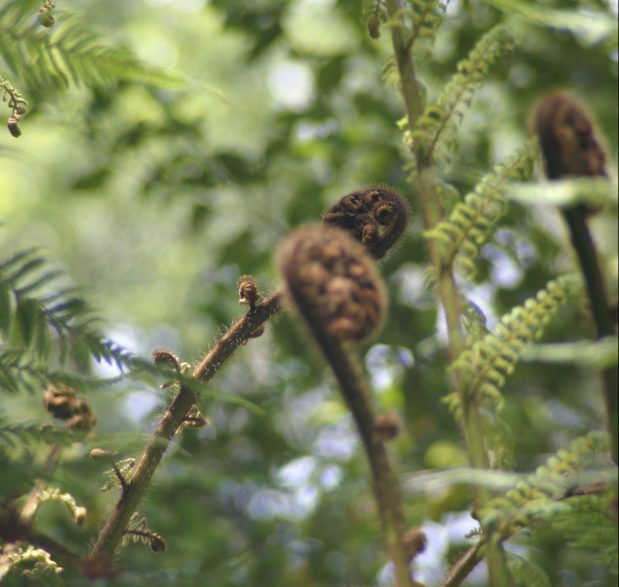 Thus, they have retreated to the beautiful forests, ensuring their thriving. On the opposite side, you have the orcs, evil and brutal. They not only kill everything they come across. They also burn and cut down the woods. Wait, where do we have deforestation? Oh right, our rainforests. Obviously, Tolkien had a thing for nature (even if not on purpose). When the orcs start to deforest Fangorn for the industrialisation of Isengard, the Ents, talking trees, rise up and end their puny attempt. The fires are quelled and Isengard is drowned. Nature wins back its territory, literally rising up against orc-kind. Now, there aren’t that many humans in reality or fantasy that live in balance with nature. Civilisation is our boon (even if it is our vice as well). We cannot survive the way we are without it. But civilisation will always be in conflict with nature. Environment protection is important, but we can’t protect it a 100% without taking away our livelihood. That may work for a single person or community but not for the 7 billion of people on our planet. Fantasy literature loves to take on that conflict and get you thinking. 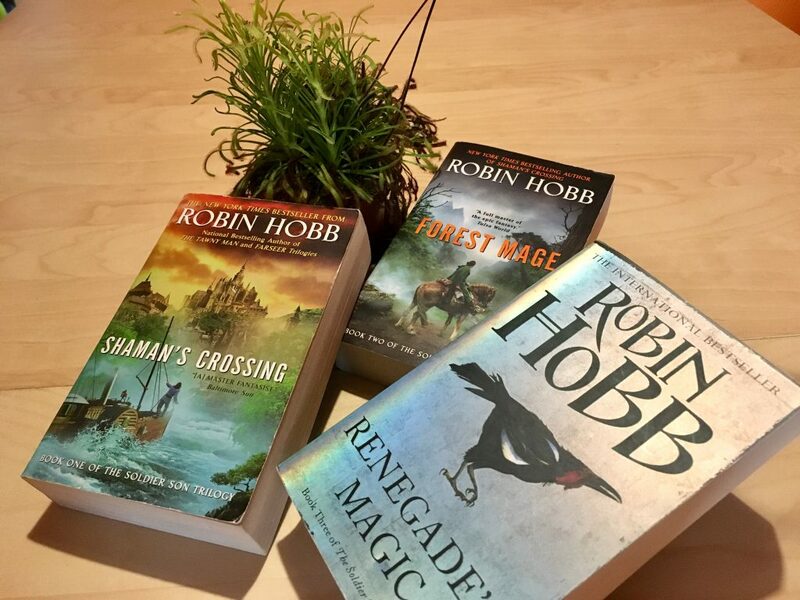 A beautiful example is Robin Hobb’s Soldier Boy Trilogy where this conflict becomes the background theme. The story starts in the civilisation end of its world. The realm is expanding quickly and what do you need for expansion? Infrastructure. So, one big plot point is the building of a road through the unconquered woods. It’s a tough task and one that is made even harder by the people living in the woods. Contrary to the very technical, logical people, especially the namesake soldiers, the wood people have magic. The magic is a bit out there with its need for overindulgence in nutritious food, but it is used to protect nature. The soldier boy is at the centre of this conflict. His whole life he has dreamt of being a good, successful soldier, capable of logic and engineering. But then he gets infected by magic and fights for his place in an increasingly confusing world. Nature is messy and so is magic. It revolts the soldier boy, but then he begins to question his society and thus, civilisation. Finally, he comes to terms with his role of protecting the environment. Hugo Award winner N.K. Jemisin takes the conflict between civilisation and environment to a higher level. Though it’s not about forests but rocks, its nature nonetheless. Her story’s world is frequently subjected to catastrophic natural events. The fifth season is the one, when a supervolcano eruption has brought on a nuclear winter or when a mega earthquake has flattened any structure. Natural hazard in Jemisin’s world are much more frequent and much stronger than in our world, meaning several civilisation have already bitten the dust. The great Sanze civilisation is only great because it survived five seasons. Now, her main characters are the so-called orogenes who are children of Father Earth and can prevent (or cause) earthquakes and the like. The very conflict between these dangerous, but sympathetic people and the educated, civilised, but nasty people is just another mirror of nature against civilisation. In the end, nature always wins. Yep, that’s me. I also wrote about the conflict between nature and civilisation, trying for a more objective take. The civilisation in my world is not bad, just as it isn’t bad in our world. It’s just not in balance with the environment which is represented by demons and other mythical creatures. Instead, the civilisation is based on the artistry of human kind and artificial beauty. Magic, by the way, is here part of the civilisation. When the demons and monsters rise up against my civilisation though, human kind doesn’t have much left to defend itself. But whether nature wins in the end, you’ll have to read for yourself. 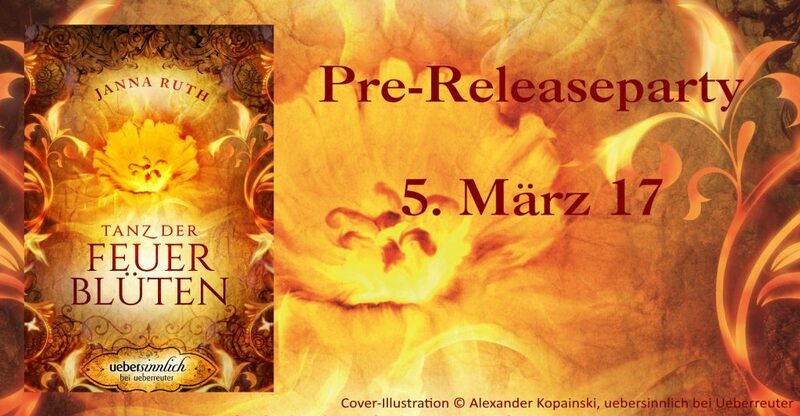 Tanz der Feuerblüten will be published on the 6th of March 2017 within the uebersinnlich series, by Ueberreuter Verlag (Link). 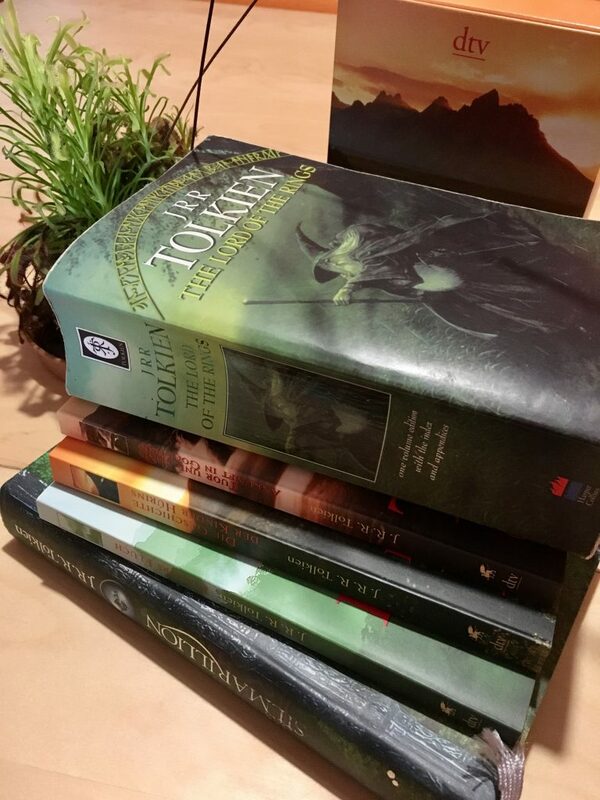 Whether it’s beneficial to humans or not, fantasy literature often acts as the advocate for the environment. Thus, there are two hypothesis to be drawn from almost every fantasy book focusing on this topic. The force of nature will overwhelm us in the end. Because no matter how much we destroy of the environment, in the end we will only succeed to make the world unliveable to us. The environment will recover eventually and evolution will bring up new life-forms. The world has been through several stages of higher temperature for example, but I wouldn’t exactly recommend living through any of them. The protection of the environment is so important not just for nature’s sake, but for our sake.